Living room is the place where you spend the most amount of your free time in the house. You invite your guests and this room decides what impression they will have on their mind about your house or about your choice. Hence, having a proper living room decor is extremely important. We often put more importance on the furniture and other decorations, while the living room wall decor takes a little back foot. 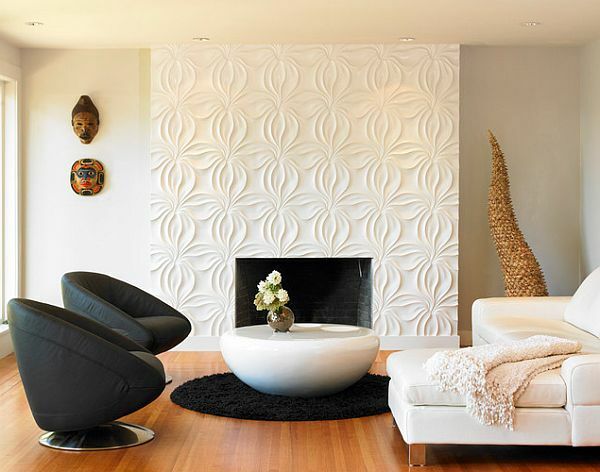 In the top 9 living room wall decor ideas, some unique designs would be discussed apart from the traditional wood, stone, paint or wallpapers. Traditional cloth can be of many types. In India we can find many traditional works on fabrics. 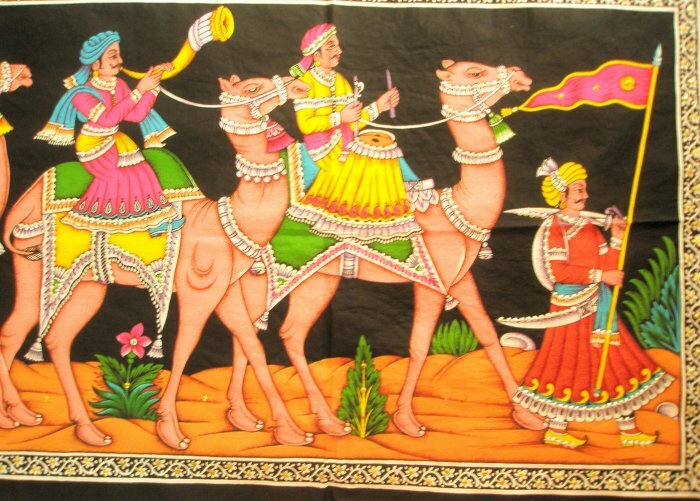 Rajasthan artwork with colors over fabrics or with small mirrors and other decorative looks amazing. Using the proper color background, this beautiful traditional cloth can make a long lasting impact on the viewer and can make your living room wall a shrine of the arts. Books never cease to lose their charm. 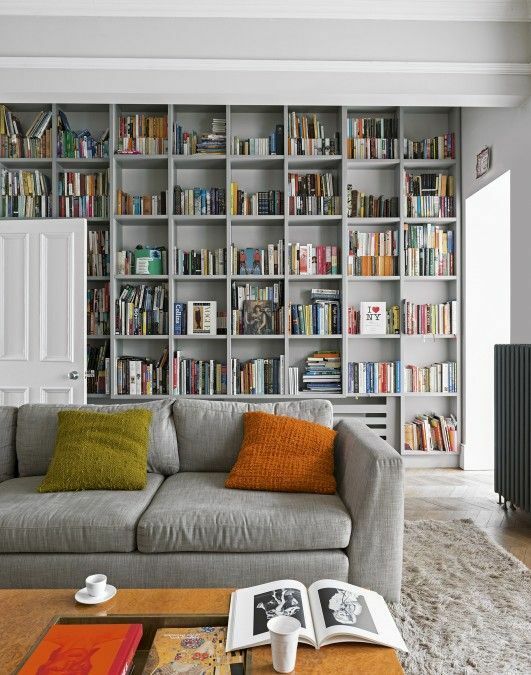 If you are a book lover, then having a shelf full of books and other beautiful artworks in your living room is not only striking but also bliss. 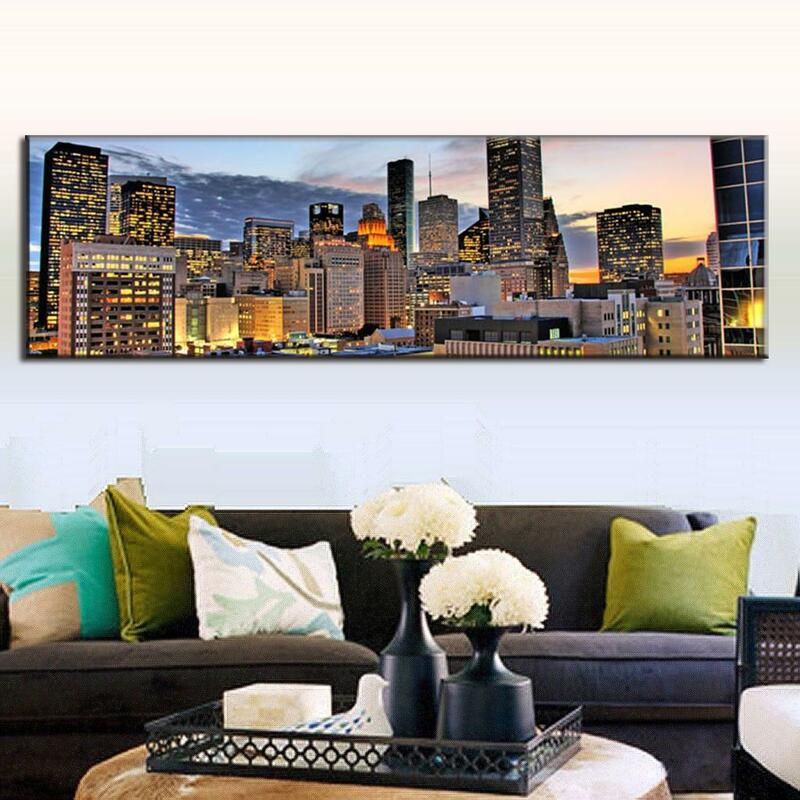 This is a timeless idea of wall decor for living rooms. 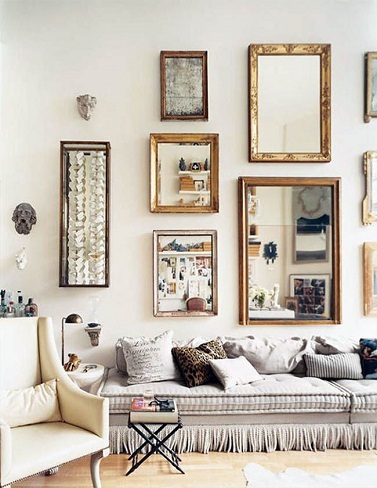 Mirrors of different sizes and shapes works really well as a living room wall decor. Mirrors reflect positivity and they can also make your room look more spacious than it is if placed strategically. 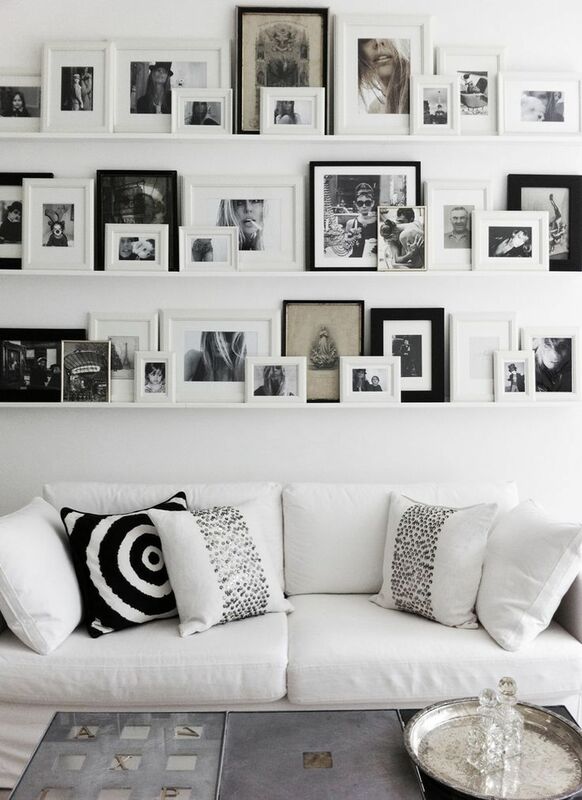 Having a memorabilia with family pictures over your living room wall or just having a single huge photograph, it looks amazing and very cozy. 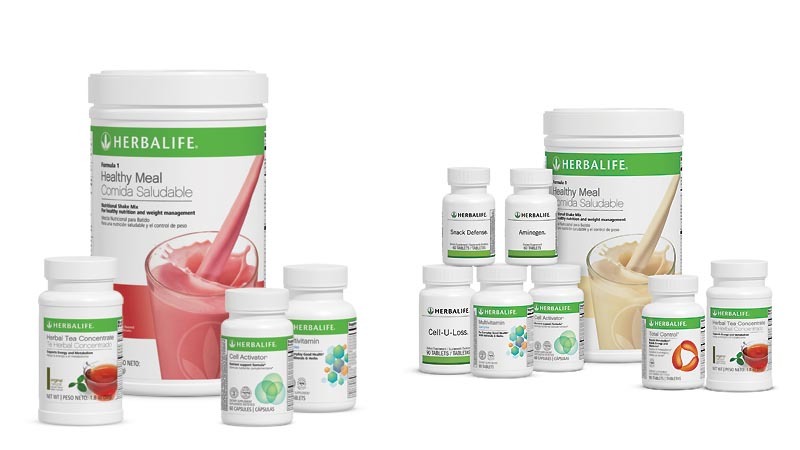 The overall theme becomes very soothing and full of positivity. Try cutting a long picture into parts and frame them in orderly fashion and hang them. This also works great. Having frameless photographs also seems to be another unique idea. 6. Design with Offbeat Wall papers or Masks. Old wallpaper designs have become increasingly boring. Replace your old living room wallpapers with new and unique wallpaper designs. 3D wallpapers are increasingly in fashion and looks pretty cool. Wallpapers with some city street or natural beauty also look funky and trendy if applied to the right wall. Having a wall full of traditional masks is also a great living room wall decor idea. Simplicity is beautiful. If you are a minimalist person and do not like much complexity, then a good artwork (sculpture, picture, painting, etc.) 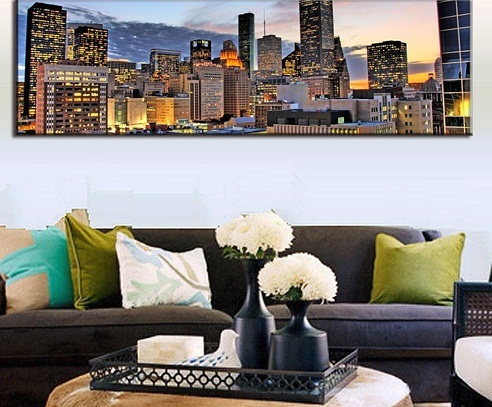 carefully placed over a flawlessly painted wall is just what you need as your living room wall decor. Wooden wall decor for long has been used as the theme for decorating any walls in your house. Lately it might have lost its charm, but this wall decor idea is back with a bang! Planks, refurbished wood, wooden crates and what not. All of these wooden living room wall decor can be used as the wall decor of your living room and can be the envy of many. Bare brick wall looks so amazingly artistic that you would probably never want to spend a single rupee again on painting or plastering. It looks artistic. If you allow your imagination to run wild, then embedding colorful stones can really act as an interesting living room wall decor idea. 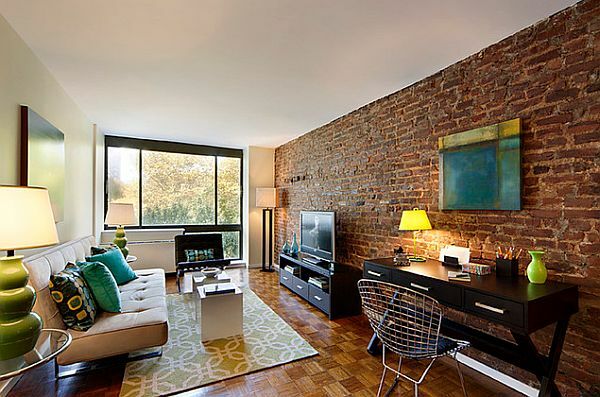 Do not forget to utilize the raw nature of the bare brick wall and design it heavily with objects. 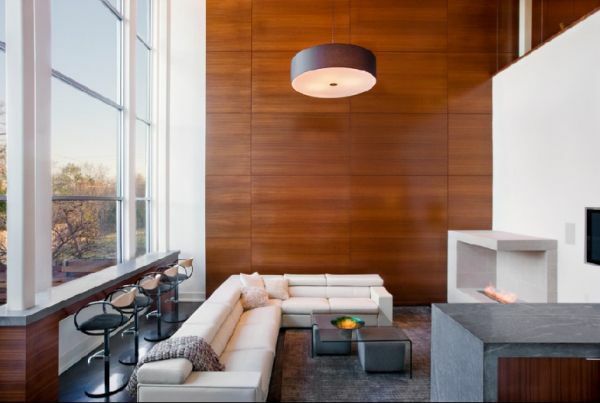 All the above stated ideas are not the limit for designing your living room walls. They are just the best. Few of the possible ideas with the materials are described. You can mend the ideas the way you want to. Go ahead and create your own masterpiece. How To Apply Henna For Hair Growth?